Spray a glass baking dish with Olive Oil Cooking Spray. In a small bowl, mix Olive Oil and 2 teaspoons of Hot Sauce with a whisk. 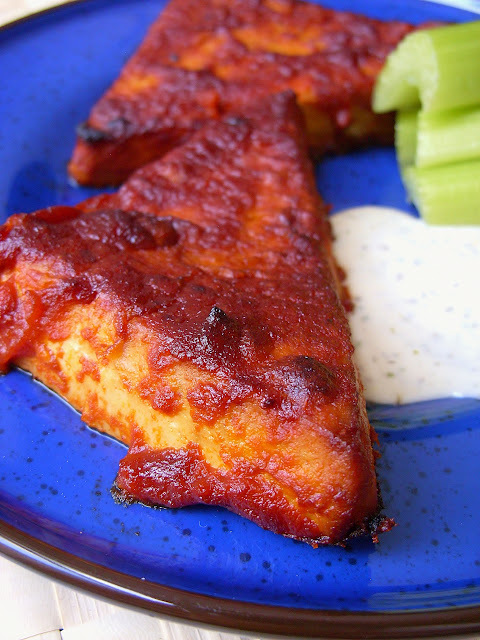 Brush your Tofu Steaks with the Olive Oil mix and place in the glass baking dish so that they don't touch. Bake for 5 minutes. Flip the Tofu Steaks and brush them with another coating of the Olive Oil mix. Put back into the oven and bake for another 5 minutes. In a small saucepan, mix all the Sauce ingredients with a whisk and heat on medium heat. Once it begins to bubble reduce heat to a simmer. 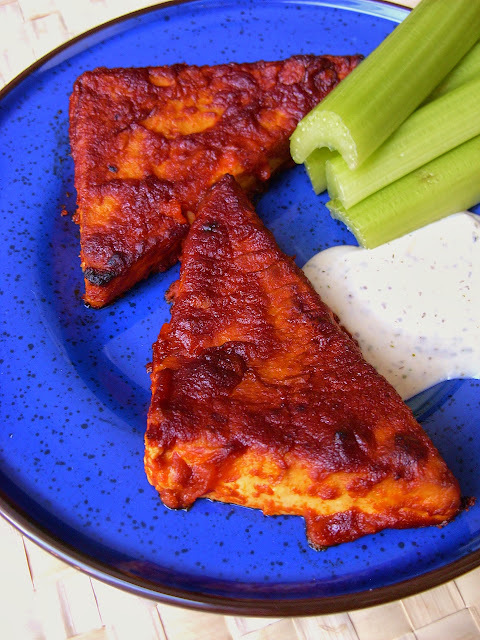 Pour 1 Cup of Buffalo Sauce over the Tofu Steaks after they have baked for 10 minutes. Flip them a few times to make sure they get an even coating. Put back in the oven and bake for another 15 minutes and then flip them and put them back into the oven for another 10 to 20 minutes. Pull them out when they have a nice coating and crispy edges. Save the rest of the Buffalo Hot Sauce to drizzle over the top of the steaks to make them more saucy. 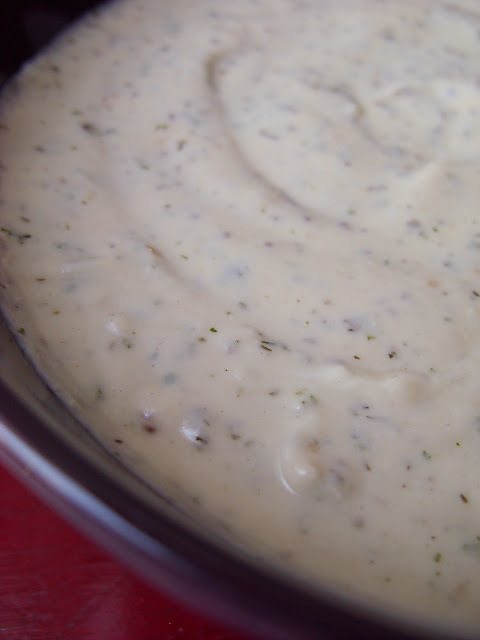 When you serve your Tofu Steaks don't forget to the Ranch Dressing Dip. The juxtaposition of the hot and cool flavors are classic American fare for a reason... they fraking work! Sometimes there really are soul mates out there who bring out the best in each other... Buffalo Hot Sauce and Ranch Dressing have that kind of love. Put all your ingredients in your favorite food processor and blend until smooth. The tofu looks amazing but I think I need that ranch dressing asap! I love ranch dressing too.. this looks like an awesome dinner. I eat something like this at Vita Cafe in Portland, OR, they call them Buffalo Things. They do kind of a stick shape & I think they are more deep fried than oven fried like yours. So yummy. They are good in a wrap too, salad mix with ranch and a few Buffalo Things equals crazy yummy. Just found this recipe, oh gosh does it look good! Thanks for posting it!